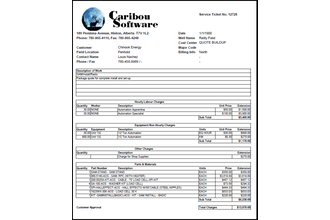 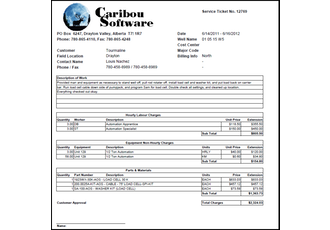 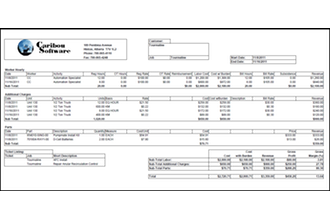 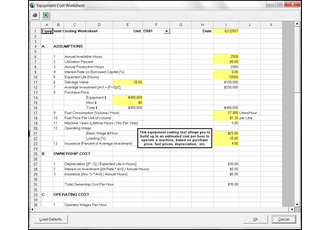 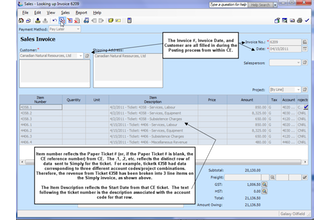 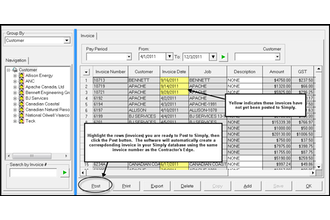 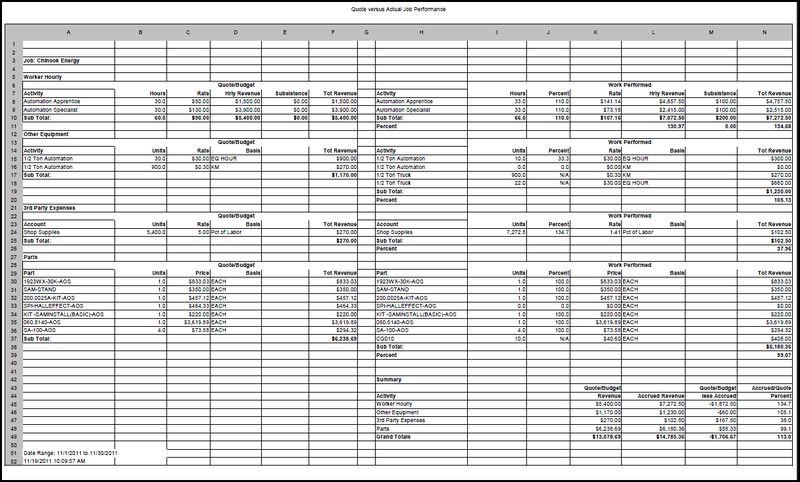 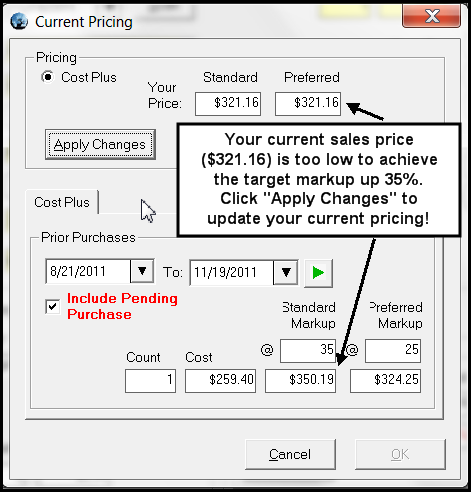 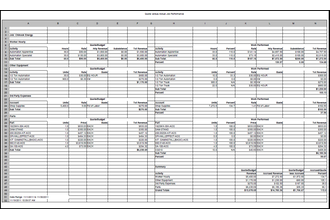 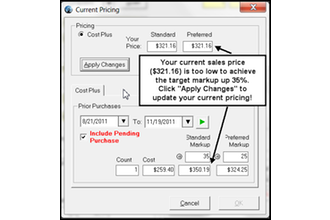 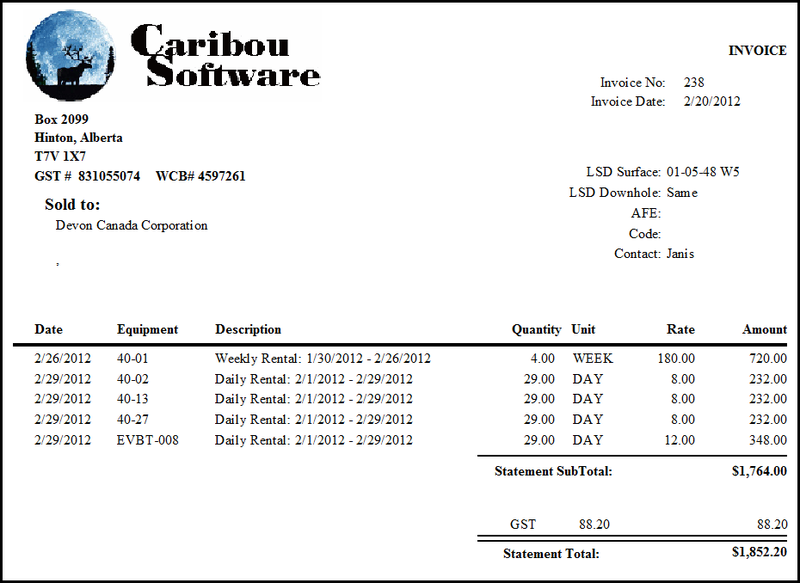 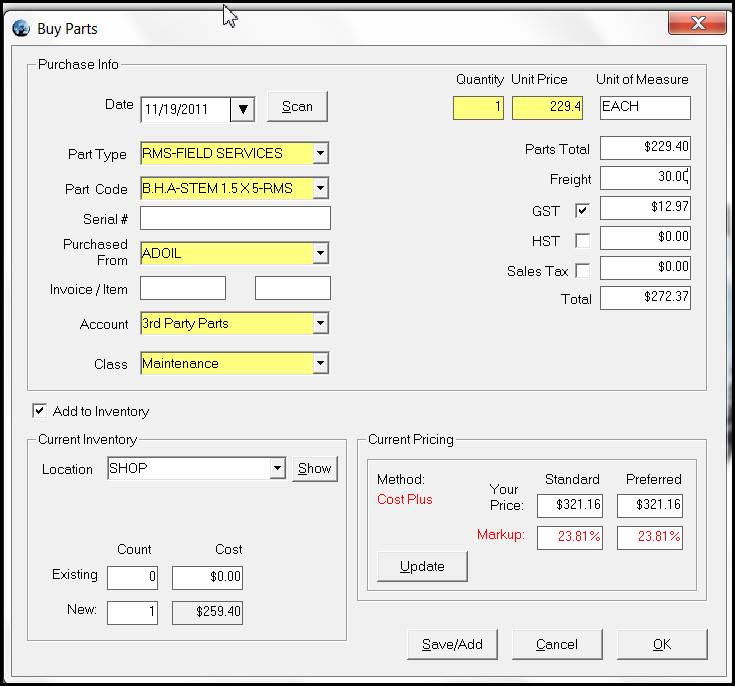 Keep Track of all parts in inventory, along with corresponding costs. 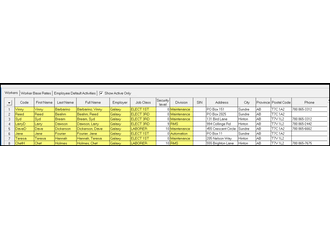 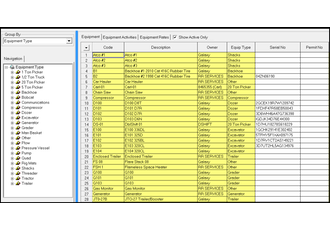 Easy look-up of parts by category, manufacturer, shop location, etc. 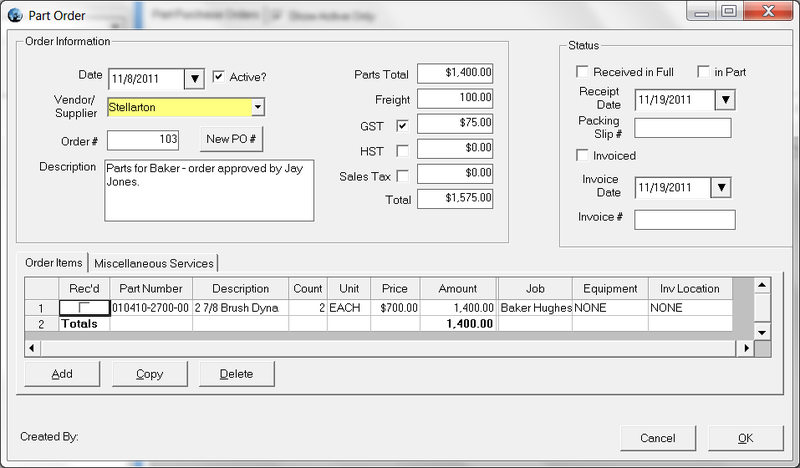 Track parts used on jobs. 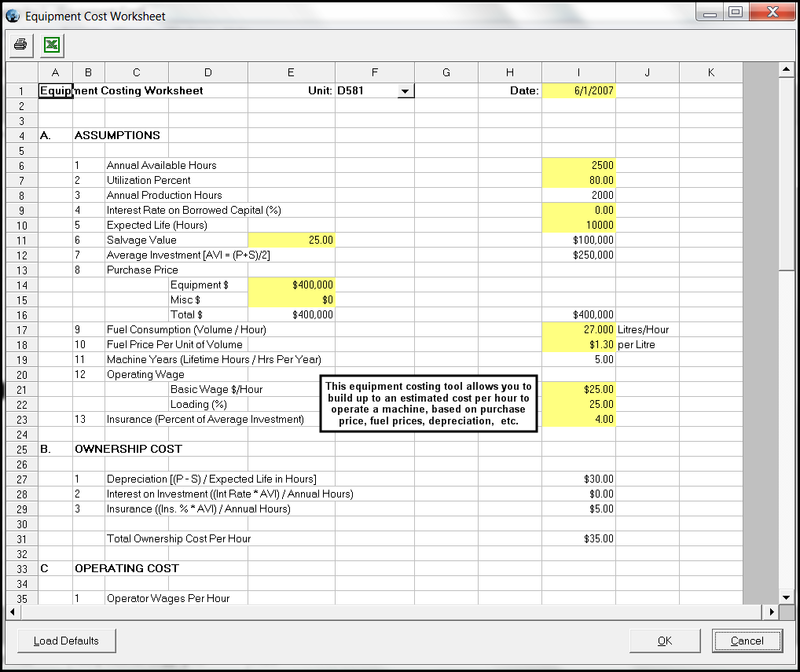 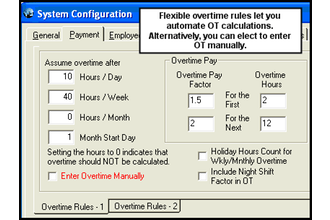 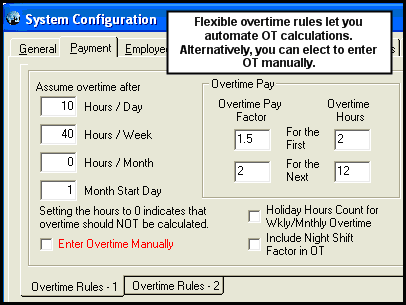 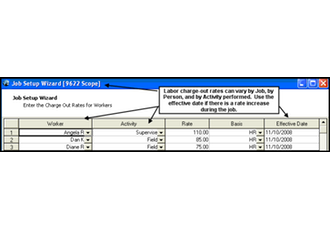 Corresponding costs get assigned to the job. 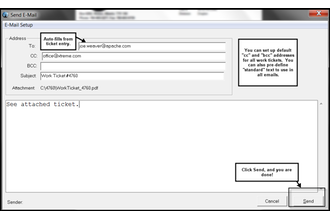 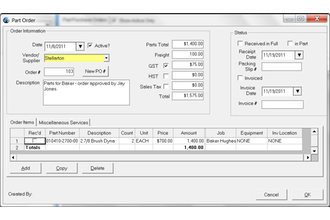 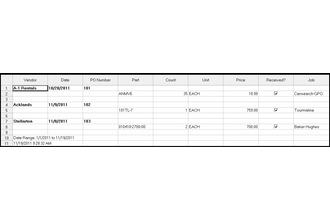 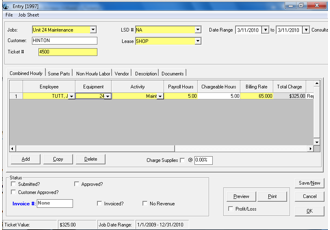 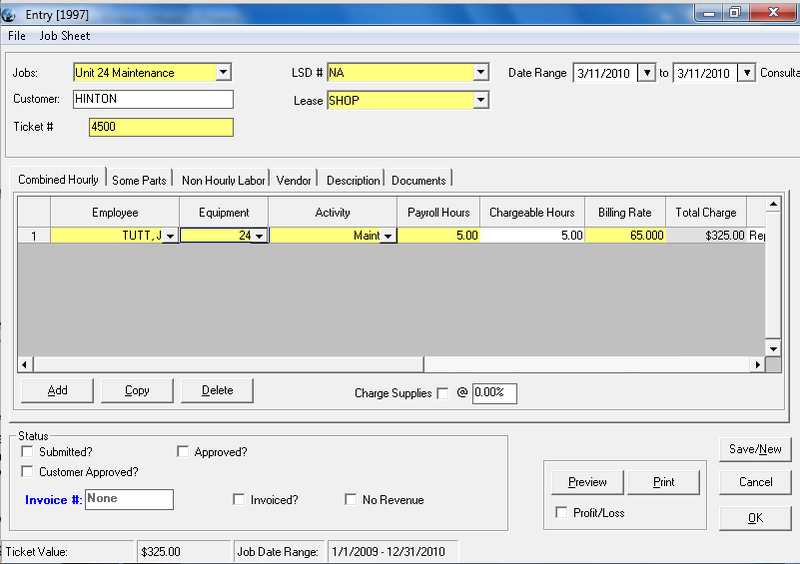 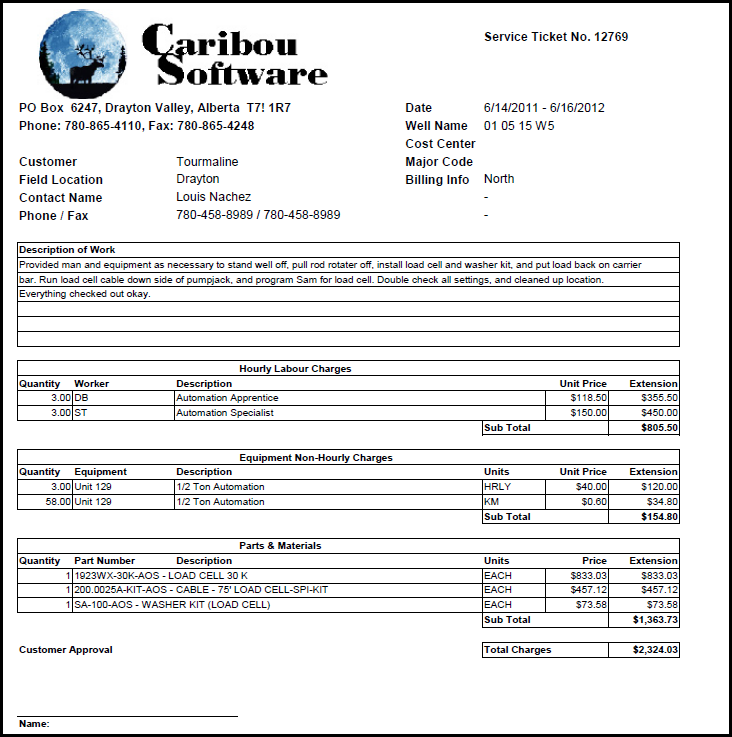 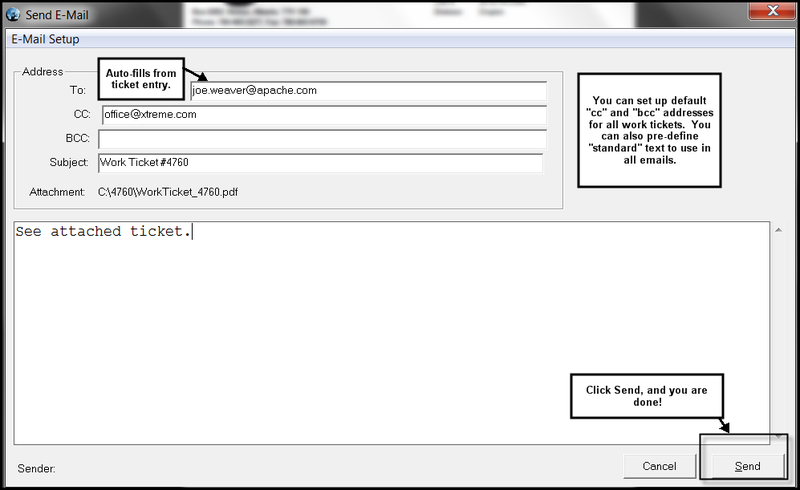 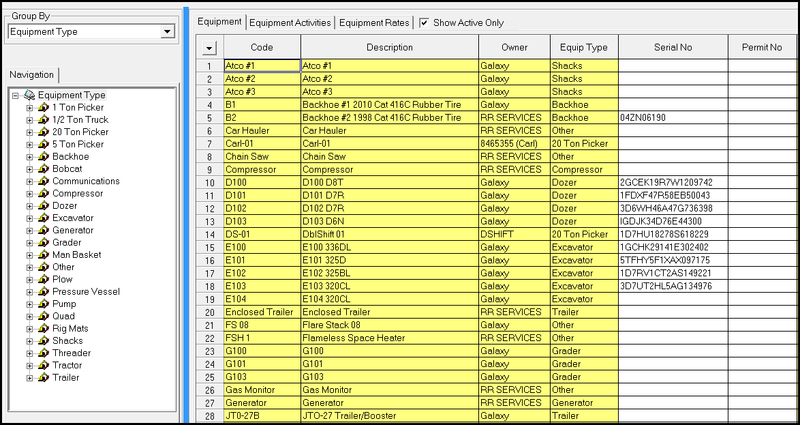 Inventory is automatically reduced when parts are used on a job..
Add a cost markup to parts on a work ticket and include on the bill. 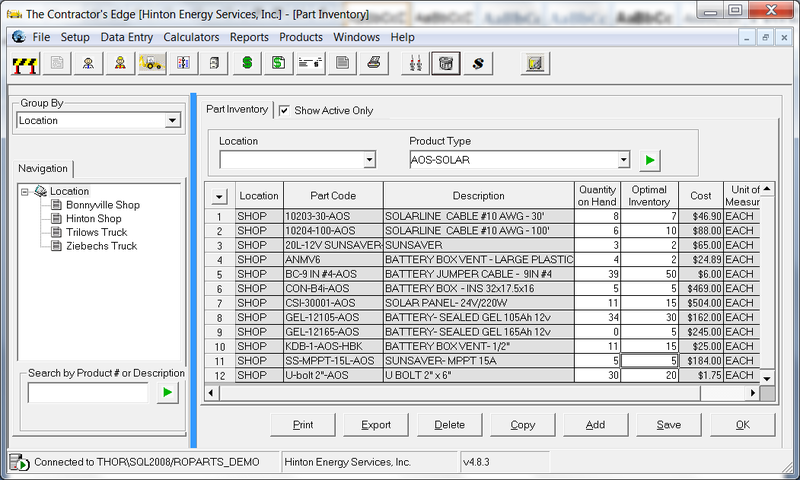 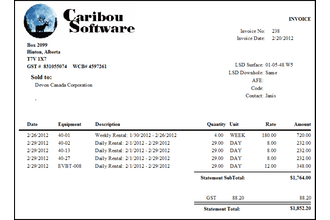 Manage inventory proactively using shopping list feature. 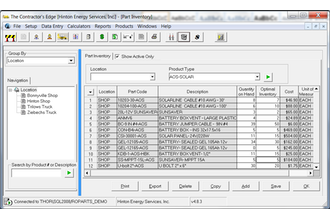 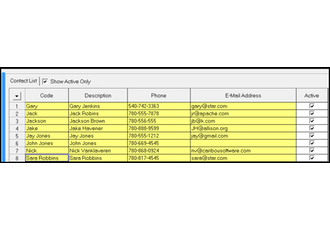 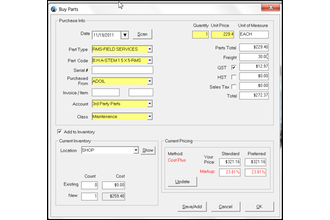 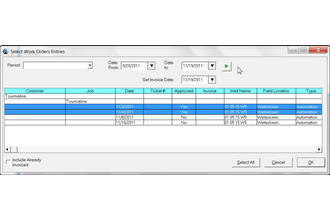 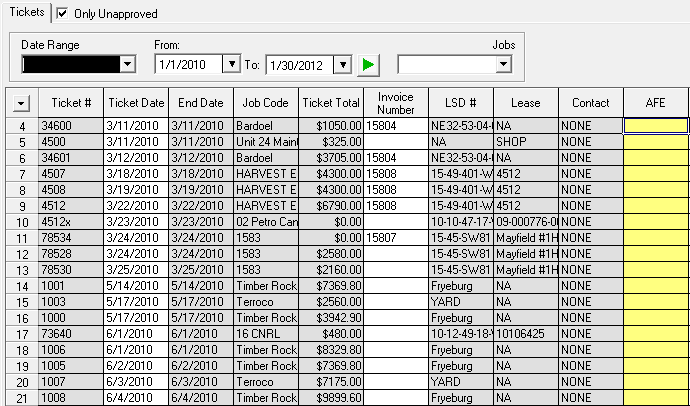 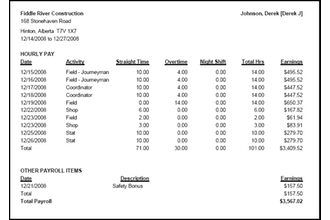 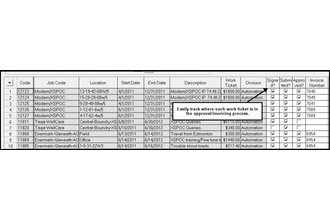 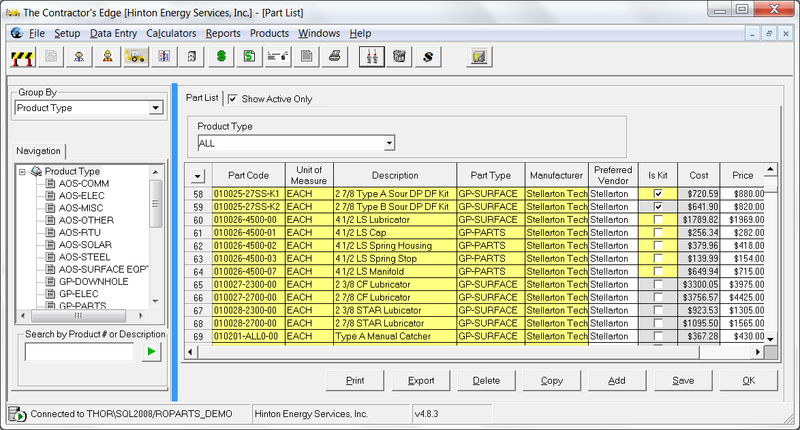 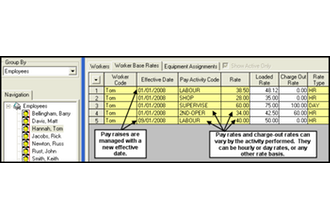 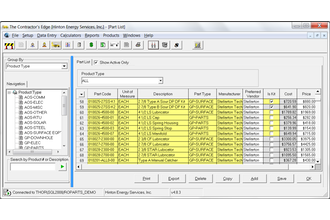 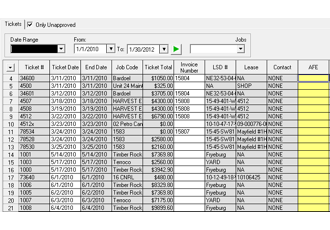 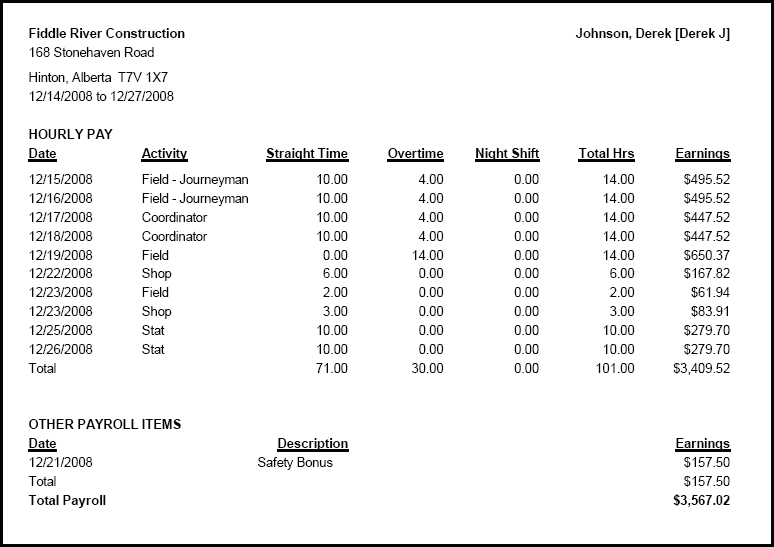 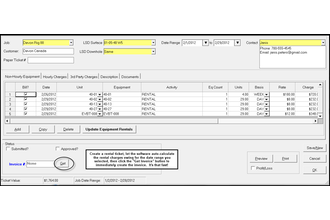 Use the Parts and Inventory tracking features in the system to keep track of parts being pulled from inventory and used on specific jobs, or parts purchased specifically for use on a particular job. 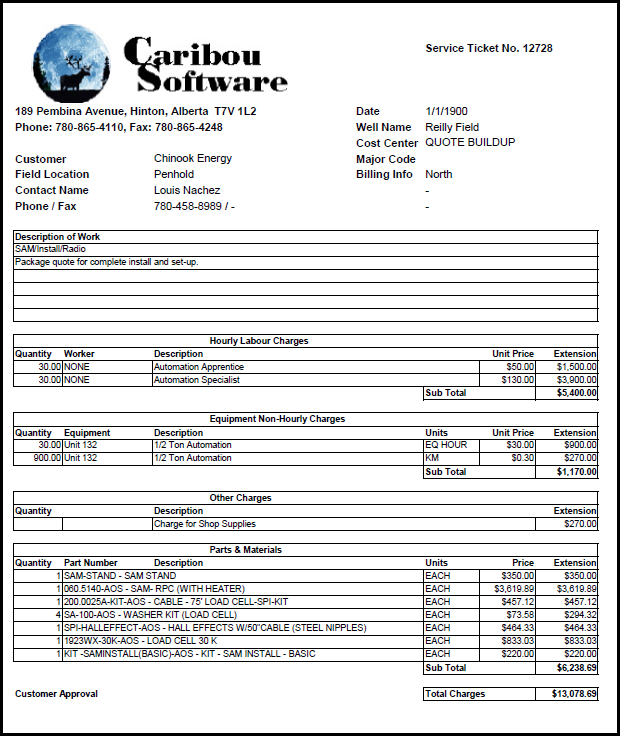 Your costs follow the part onto the job, and you have the opportunity to charge for those parts based on standard sales prices or preferred customer prices.